KEITH HARING RARE FABULOUS BEAUTIFUL SILKSCREEN. Complete set of 4. Collaboration with Andy Warhol. Signed by both Haring and Warhol and numbered in pencil. Printed by Rupert Smith, NY. Artwork is in excellent condition. Certificate of authenticity included. 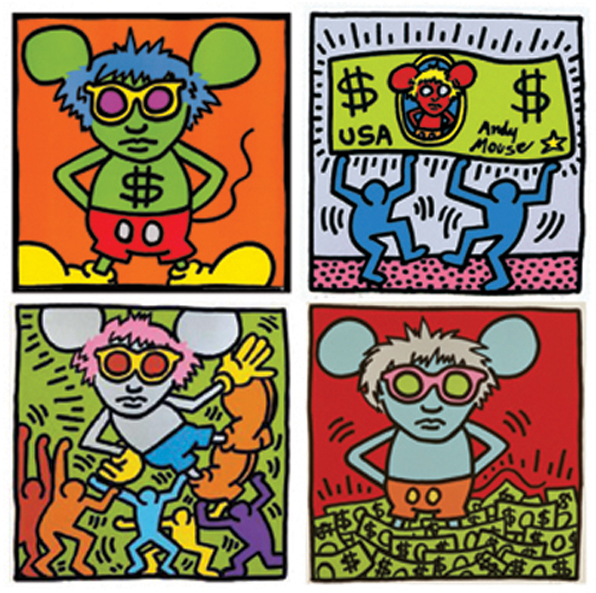 Click the button below to add the Signed Andy Mouse 1986 By Keith Haring Retail $2 Million to your wish list.